Our house has completely exploded with toys. Not only was there Christmas, but there was also a baby brother which meant Lucy completely cleaned up! 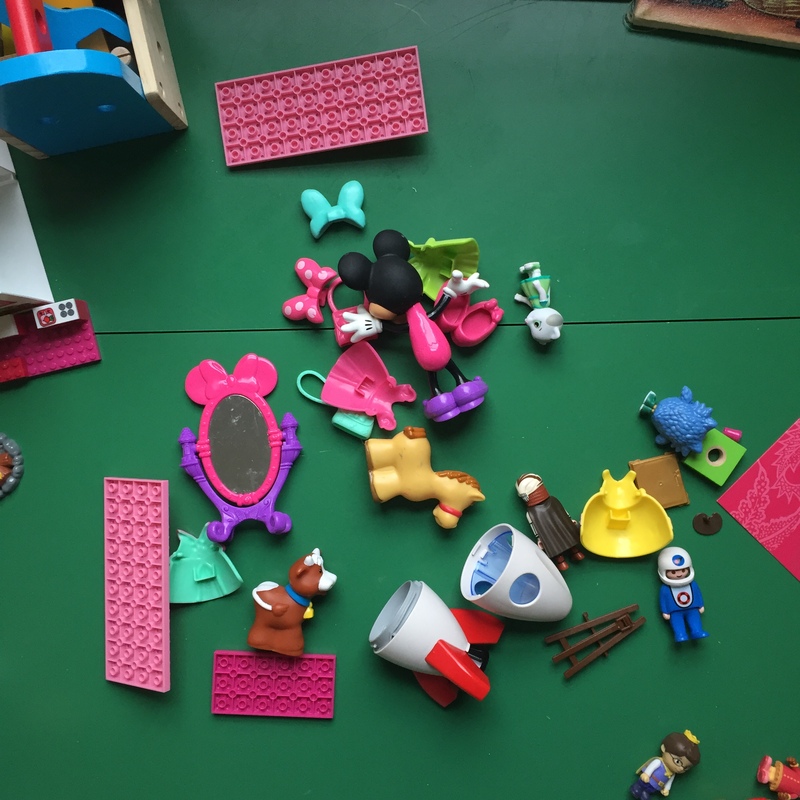 And now at 2.5 years old, she is entering into the stage of little toys and figurines with many pieces, which end up littered all over. 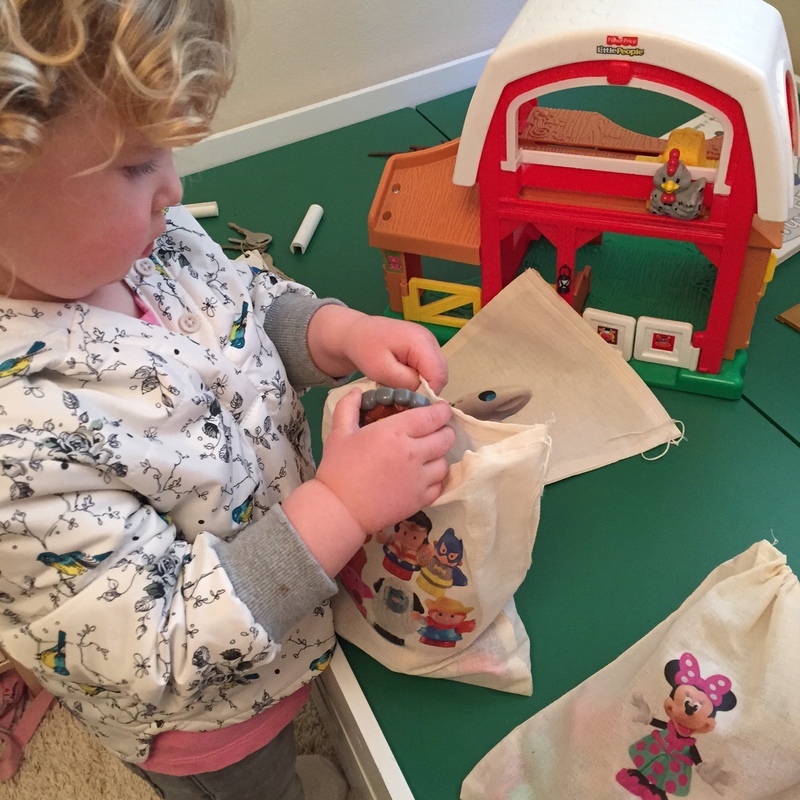 I was struggling to come up with a solution because each set of toys wasn’t really large enough for their own container, but when I came across small drawstring bags, they seemed to be the perfect size. 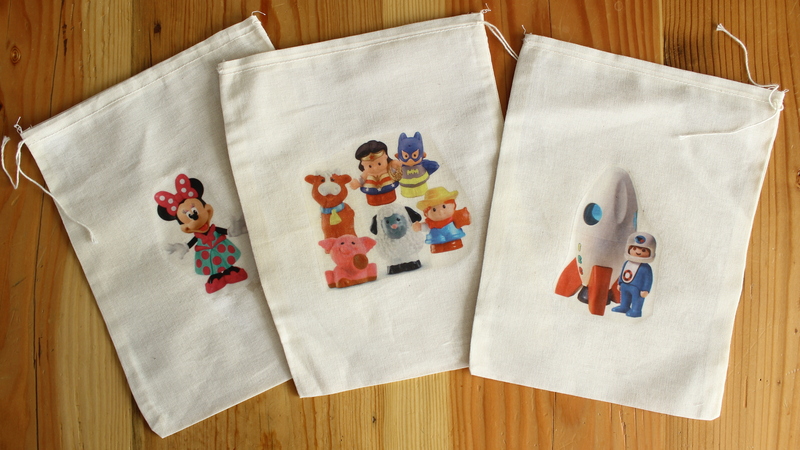 I ordered a pack of (10) 8×10″ drawstring muslin bags and then happened to have some photo transfer paper on hand. 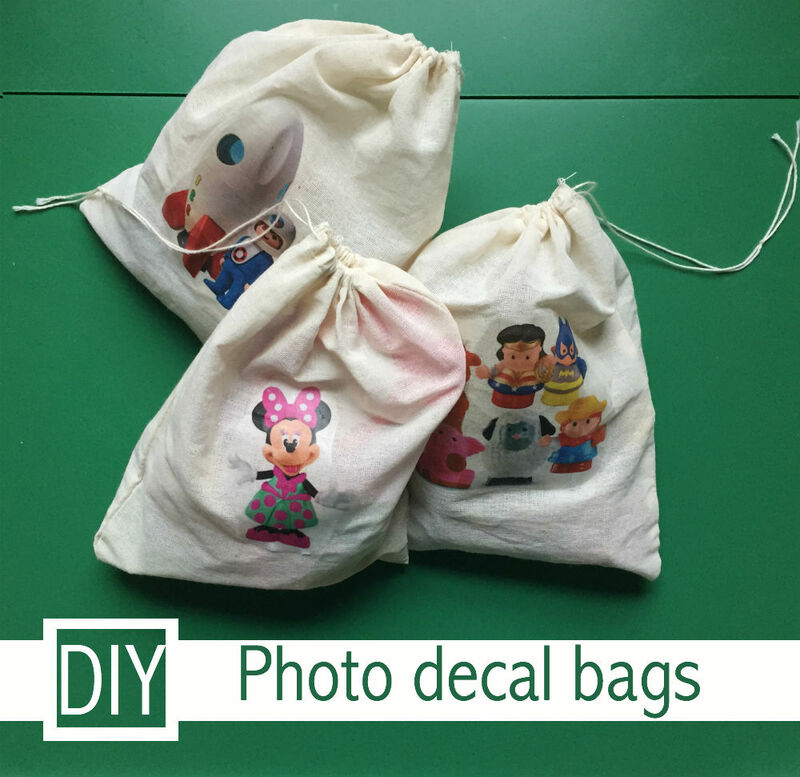 With toy photos on the front, Lucy would be able to tell what was in each bag, and possibly clean them back up into the right bags. Originally I was going to take photos of the toys, which you can do, but then realized how much easier it would be to use Amazon for the images. Got to love Amazon! 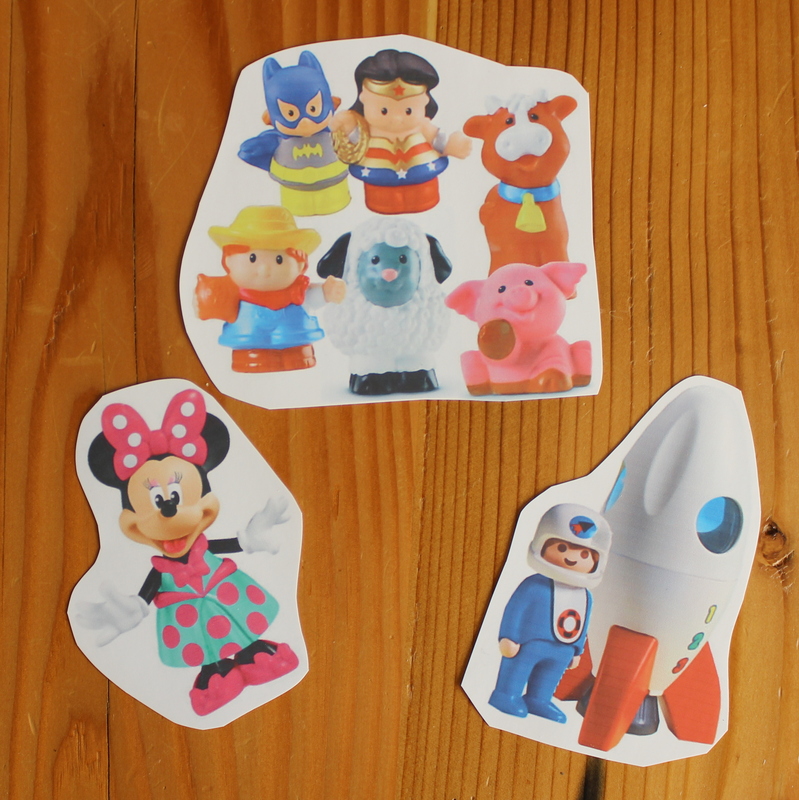 I printed the images onto the transfer paper. Don’t forget to flip if you have numbers or letters. I skipped it thinking I didn’t have any, until they printed and there’s a 123 on the spaceship…whoops! Then just print, cut, iron, and peel! They are seriously just about the easiest things to make. 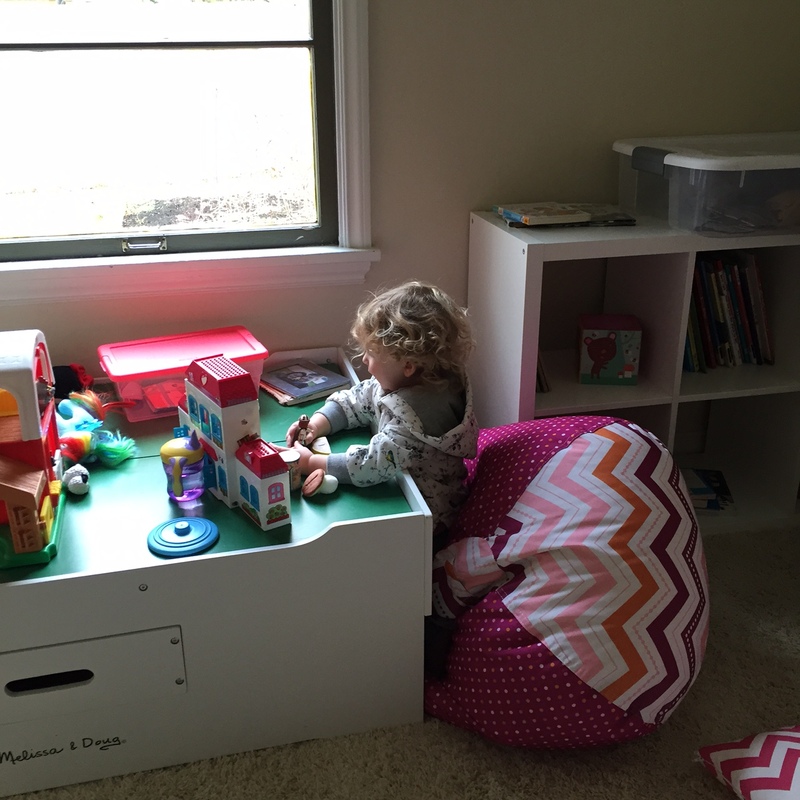 She actually enjoyed sorting the toys into the right bags. Such a helper (sometimes) Now I am looking for more toys to bag up! Anything lying around is getting a bag shortly…everything needs a home! It’s kind of addicting, it’s easy clean up, plus with those drawstrings you can carry a bunch of bags at once.